You can view movements for each individual item as well as its varieties, and easily identify potential reasons for discrepancies. 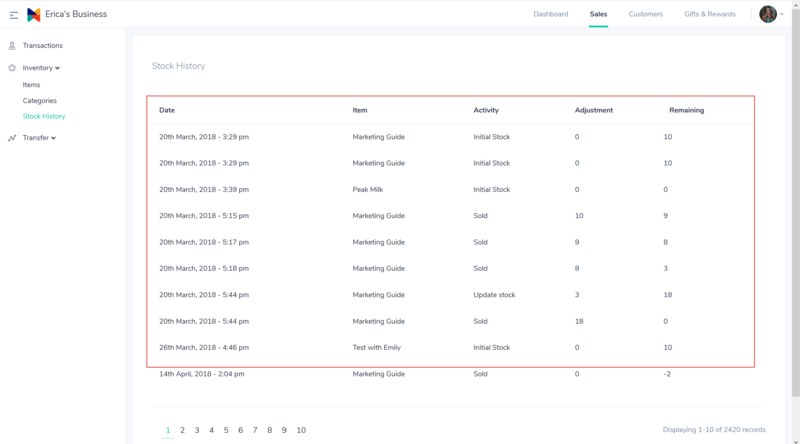 From here you can view inventory movements for things like stock added, stock removed, inventory counts and sales that this item is involved in. You can also filter this report by adjustment type and by date for a closer look at the item activity in your store.